With over 2.5bn dedicated fans, cricket is the world’s second most popular sport. Often assumed to be played by just a handful of nations, the reality is that one of the world’s oldest team sports reaches some of the most unexpected areas on earth, from the Mongolian steppes to the jungles of Africa via the ganglands of Guatemala. 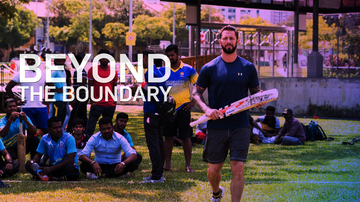 In Beyond the Boundary, Somerset county cricketer Peter Trego will travel to unusual and unexpected cricketing locations to discover just how and why the locals have taken up the sport, to find out its influences and discover what impact it has had on these communities.